​GIVE ONLINE at our secure PayPal portal by clicking "Donate" above. DONATE AT OUR EVENTS via cash or check. 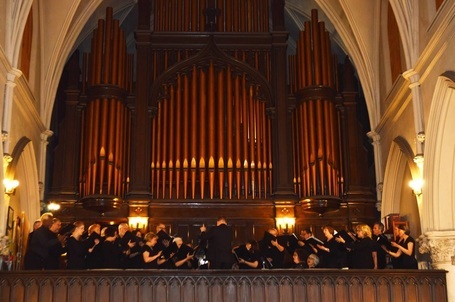 EMAIL US AT INFO@FLORILEGIUMCHAMBERCHOIR.ORG to learn more about supporting Florilegium Chamber Choir! Without the generosity of Florilegium’s dedicated supporters, our remarkable 40 seasons would never have been possible. To help ensure that our ensemble continues presenting new works and beautiful concerts for many more years to come, please consider making a donation. For support at any level, you have our sincere thanks and receive recognition in our concert programs.